JNN 22 Aug 2014 Gaza : Israeli-Palestinian rocket fire resumed on Tuesday after Gaza truce talks broke down. A 5-year-old girl and a woman became the first victims of renewed Israeli airstrikes in Gaza. Hamas launched around 50 rockets at Israel, hitting as far as Tel Aviv. 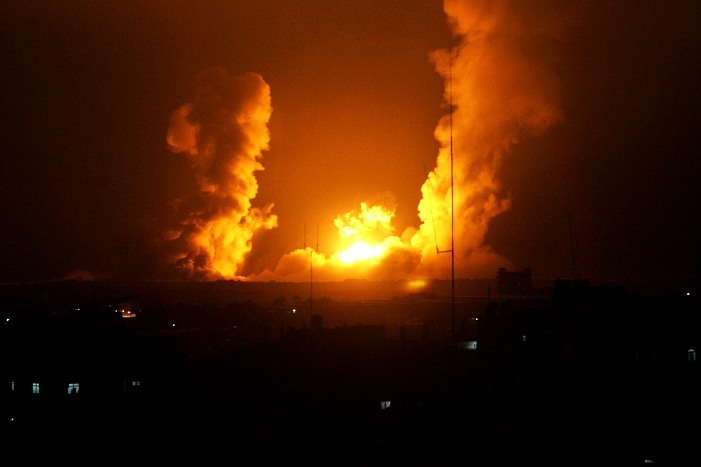 The three people killed during the Israeli airstrikes included a wife and a child of the Hamas military wing’s leader Mohammed Deif, AP cited senior Hamas leader Moussa Abu Marzouk as saying. This entry was posted in Middle East and tagged Gaza, Gaza Strip, Gaza Truce, hamas, Hamas leader, Israeli Airstrikes, Palestinian Rocket Barrage. Bookmark the permalink.